Each tube is 6" long x 5/16" diameter. New thicker tubes help prevent parasitic wasps from laying their eggs! 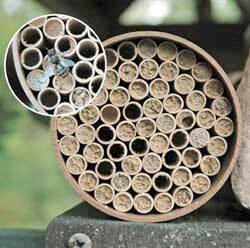 Provide additional fresh nesting tubes each year, ideally replacing "used" tubes as soon as they're empty in early Spring. Newly hatched females prefer to use new empty tubes-but then they'll re-use the old ones. If you put the nest kits outside in the very early spring (when the fruit trees are in bloom) the bees will come! This photo shows our colony of Mason Bees. We started out with one empty nest kit five years ago and now we have a colony of over 4000 bees! The replacement tubes for mason bees were exactly what I needed. It came with great directions on when to replace the tube (make sure all bee larvae in older tubes have hatched....check with your local sources what time in spring is best). 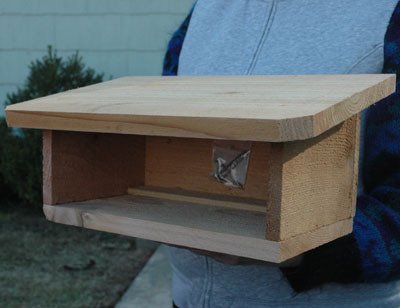 I'm excited to start raising mason bees for our garden and fruit trees! Fast delivery and good quality. Great product-replacement tubes for bee boxes I was building. 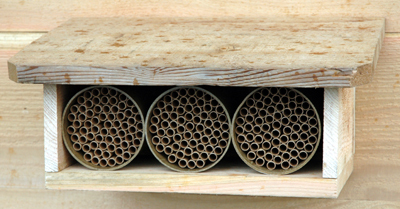 THE REPLACEMENT TUBES ARRIVED AS PROMISED, THE MASON BEES MOVED INTO THE NEW TUBES THE FOLLOWING DAY. For the last 2 years I've really enjoyed my mason bees. After the first year, I puchased the 3 solid houses and the protective wood housing. Last year most of the tubes were filled. So I just bought 100 replacement tubes since I hear the bees like new nests and that keeps down the mite population. Order took awhile to receive but is what I ordered. I like these tubes better than the old style one I had before because they seem to be make of a sturdier material.